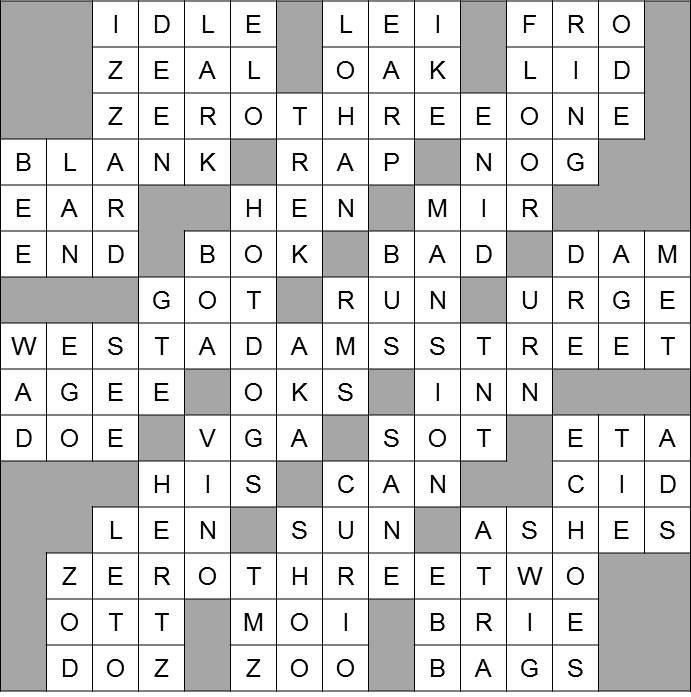 What's this about a crossword? 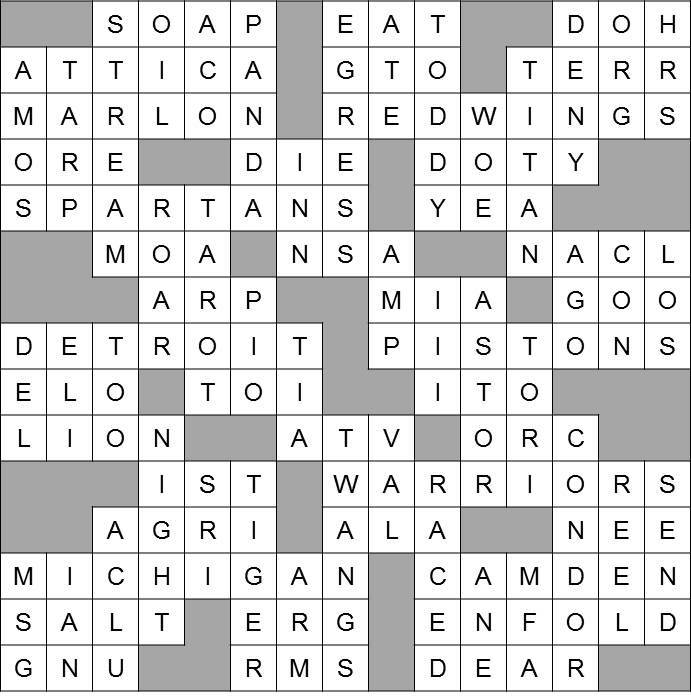 Well, I sent out my annual crossword puzzle the other day (give it till New Year's Eve). Truth be told, I sent them out a little late, so yours may not have arrived yet. But it's also possible that my disorganized file keeping has caused me to mislay or overlook your address, so please don't feel slighted if you haven't received yours. Instead, do something about it — send me your address so I can mail one out to you! That hyperlink below will show you the solutions to both of my puzzles. By "both" I mean the one I prepared for coworkers at my day job and the one I prepared for friends & family. If you're not a coworker of mine, there's little chance you'd know some of the longer answers in my coworkers puzzle. Likewise, if you are a coworker, some of the answers in the friends & family puzzle might be exceptionally difficult. In any case, don't click on that link unless you're ready to see the solutions.